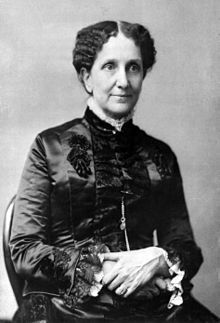 Mary Baker Eddy (1821 nî 7 goe̍h 16 ji̍t – 1910 nî 12 goe̍h 3 ji̍t) sī Bí-kok ê ki-tok-kàu kái-kek-chiá, i kiàn-li̍p liáu chi̍t khoán kiò chò Christian Science ("Ki-tok-kàu Kho-ha̍k") ê chong-phài. Kathleen Kuiper, pian. (2010). "Mary Baker Eddy". Britannica Guide to the World's Most Influential People : 100 Most Influential Women of All Time. Encyclopaedia Britannica, Inc. ISBN 978-1-61530-058-7. Chit ia̍h siāng bóe tī 2016-nî 8-goe̍h 26-ji̍t (Pài-gō͘), 12:48 ū pian-chi̍p--koè.